Dr Jan Berg is an associate professor in audio technology at Luleå University of Technology, Sweden, where he carries out research and education on different aspects of audio production with special focus on sound quality evaluation. In his dissertation (2002) Dr Berg studied evaluation of spatial quality in multichannel systems. Dr Berg’s research activities include collaboration with both academia and industry, e.g. in codec testing, loudness and development of listening tests. Prior to his research work, Dr Berg worked for more than a decade at Swedish Radio as both recording engineer and maintenance engineer. In 2006, Dr Berg chaired Sweden’s first AES international conference, the AES 28th, on Audio Technology in the Future – Surround and Beyond, taking place in Piteå, Sweden. This was followed in 2010 by the 38th conference on sound quality evaluation. For his work Dr Berg received the Board of Governors Award on two separate occasions. Dr Berg is also active within the AES as a reviewer for the Journal in addition to other duties. 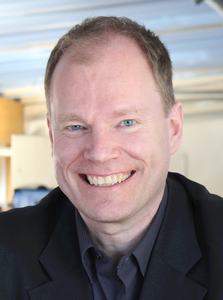 He previously held the position as Dean of the Faculty of Arts and Social Sciences at Luleå University of Technology, and was recently appointed leader of the Audio Technology group at his department.